Recent advances in energy and communications technologies have outpaced anything the human race has seen since either the invention of the telegraph or the discovery of alternating current. Many of these advances have enabled technologies that were once the realm of science fiction—driverless cars, implanted medical devices, and vast supplies of renewable energy. Today, these and related technologies are shaping up to be as important to California’s prosperity in the 21st century as roads and waterways were in the 20th. However, the pace of innovation is increasingly pushing up against the physical constraints of California’s legacy energy and communications infrastructure. Without upgrading to 21st century infrastructure, California will not keep up with the level of competition and the rate of change in today’s global economy. This report was prepared by the Bay Area Council Economic Institute for the Bay Area Council’s 21st Century Infrastructure Initiative. Consulting contributors Matt Chwierut and Brinda Dalal (President, Dhoopa Ventures LLC) played key roles in the research and narrative development. Economic Institute Interns Carolyn Garrett and Alex Hartzell contributed to the data analysis, qualitative research, and overall narrative of the report. The Economic Institute also thanks Olaf Groth, a Bay Area Council Economic Institute Research Council member, for his guidance and support. Investment in 21st century infrastructure will enable new technologies that will improve the lives of Californians. Improved delivery of public services and broader civic engagement. Improved access to healthcare through video conferencing, remote sensors, and diagnostic tools, reducing hospital and physician visits and saving costs. Improved efficiency and access to education—particularly for working students and those in rural areas—through digital education platforms. Schools that have received network investments, and are able to utilize technology more widely, have reported academic gains. Greater resiliency and reliability in the face of natural disasters. 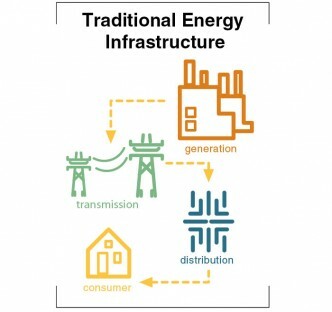 Greater environmental benefits through better integration of renewable energy into the grid. 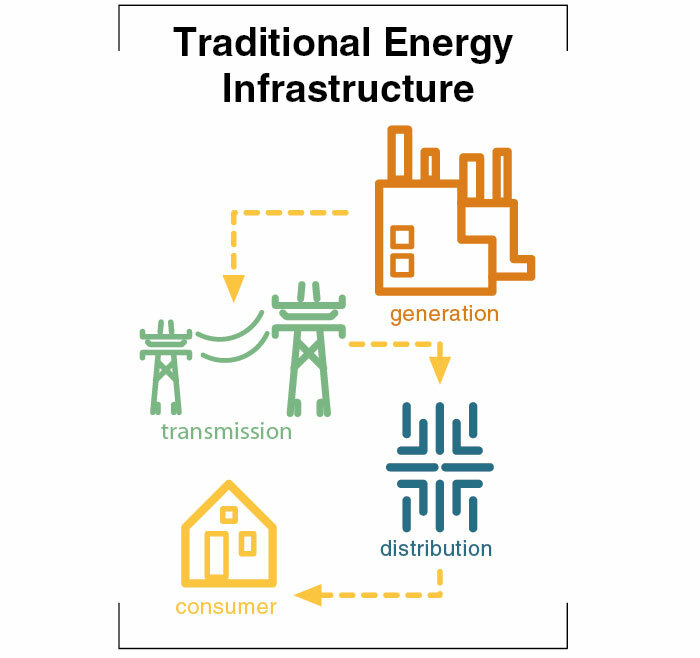 Greater transparency across the electricity system from generation to use, improving power management and creating new business opportunities for innovative companies, especially in regard to data management and optimization. Greater choice for consumers in how to manage their energy use, providing an opportunity for cost savings by matching pricing, time of use, and other preferences. At the core of modern infrastructure is a central nervous system of connectivity. 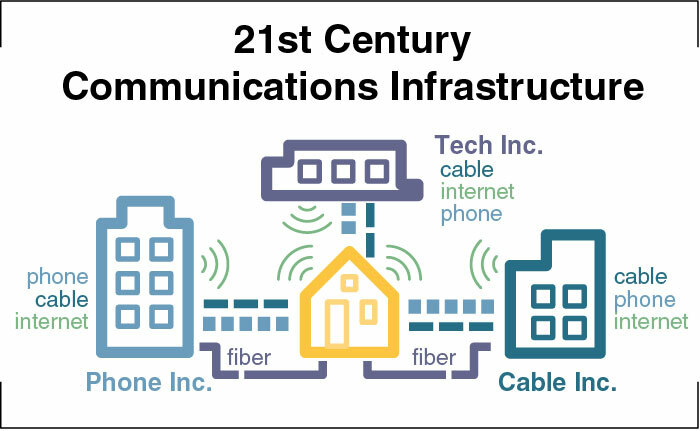 Investment in communications infrastructure is necessary to maintain California’s global competitiveness. The demands on communications networks are growing and changing rapidly. As more facets of the economy rely on the internet and mobile communications—including payment systems, entertainment, transportation, and the power grid—internet usage is rapidly growing. Consumers are driving the need for faster networks with more ubiquitous coverage, as today’s internet is transmitting growing volumes of data that support the exchange of business data, personal communications, interactive learning, high-definition video, and advanced industrial processes. Monthly internet traffic in 1995 was 180 terabytes (180 million megabytes); in 2015 it will have expanded by a factor of 450,000. Global mobile data grew by 81 percent in 2013, after registering 70 percent growth in 2012. Devices that share data from machine-to-machine will grow from 4.9 percent of all devices today to 19.7 percent by 2018. Two billion devices, such as wearable technologies and industrial sensors, will be able to communicate with each other automatically by 2018. Global annual cloud storage is projected to increase by 300 percent between 2013 and 2018. Infrastructure must be built. To more seamlessly meet growing network demands, requirements include expanding access to and building out fiber optic and wireless networks. 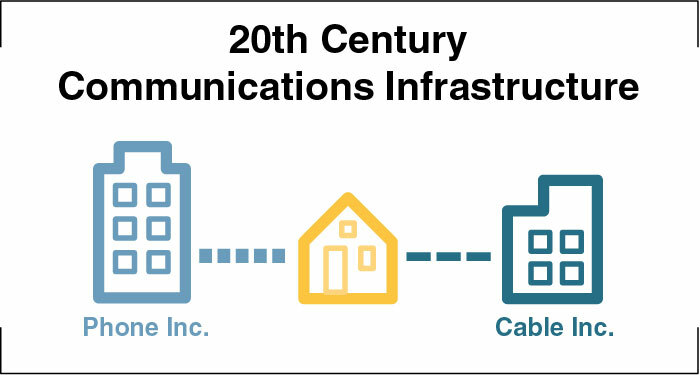 The communications infrastructure needed to accomplish this includes conduit to house cables, large and small cell towers to support wireless connectivity, and small cells and distributed antenna systems to expand the range of wireless access. The networks that these improvements support must also be secure, reliable, energy-efficient, ubiquitous, resilient, and high capacity. Connectivity is critical to maintaining the state’s economic competitiveness and high standard of living. 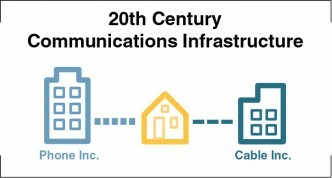 Although official reporting by service providers indicates that 97.8 percent of California’s housing units have the infrastructure necessary to access broadband with data speeds faster than 6 megabits per second, the increasing number and power of connected devices will require increased bandwidth. 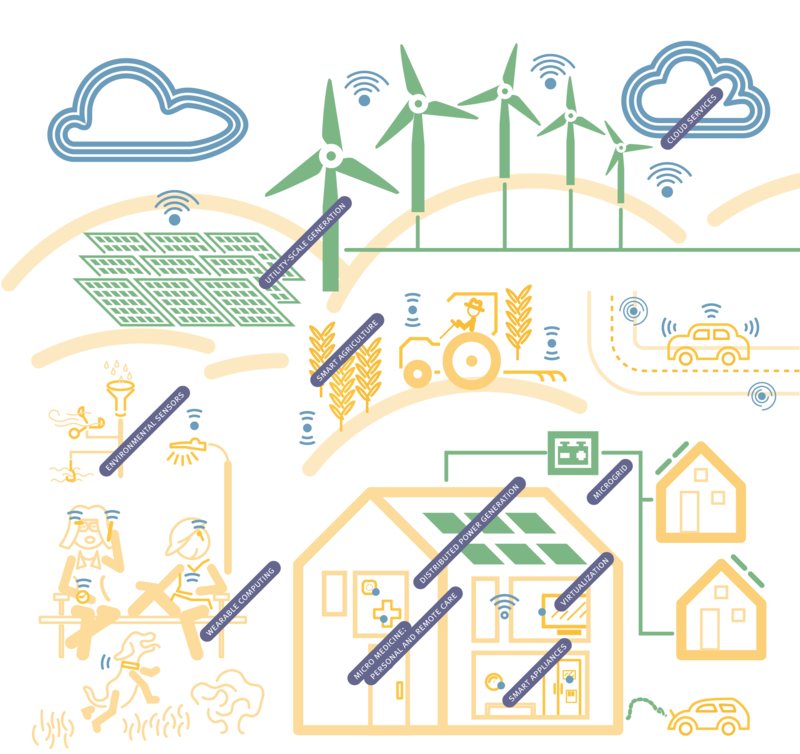 In addition, California will need to continue to address lingering gaps in speed and quality of access, including reaching rural and other areas without service. Evolving telecommunications technologies and business models require a new regulatory framework. Building physical infrastructure requires large financial investments, navigation through permitting and other regulatory requirements, and a sustainable revenue model. Cost is the most cited hurdle in completing local broadband projects. A 21st century regulatory structure needs to be reflective of the character of modern infrastructure, changing demands on it, and evolving marketplace dynamics. For example, AT&T is investing in internet-based phone networks as part of its push to move to more powerful all-digital services, while Comcast is currently delivering all-digital telephone services within the state. However, in California, telecommunications operators must maintain their legacy wire telephone networks, creating an added cost burden that can slow investment in faster technologies. Investment in California’s electricity grid is necessary to achieve environmental goals, including the greater use of renewable power, and to ensure grid reliability. Changing consumer expectations regarding the management of their energy use and the reduction of their environmental impact. Public policy, including California’s Renewables Portfolio Standard, the California Global Warming Solutions Act (Assembly Bill 32, or AB 32), the US Environmental Protection Agency’s rules on reducing emissions from the electricity sector, and other policies that target reduced levels of carbon dioxide (CO2) emissions. Increasing penetration of renewable energy systems: As of 2012, renewable energy accounted for 13 percent of total electricity generation in California, and just 4 percent nationally. In 2013 alone, 2,145 megawatts (MW) of utility- scale solar capacity entered service in California (for comparison, large natural gas-fired power plants have an average capacity of 500 MW), giving the state total solar capacity of more than 8,500 MW. Topping the nation, 2,332 MW of solar capacity has been installed by residents and businesses in California, more than two times that of the next most-active states, Arizona and New Jersey. Strong electric vehicle (EV) uptake in California, which is expected to account for 25 percent of all EVs sold in the US through 2020. EV charging is placing greater demands on the grid, with each vehicle’s needs roughly equivalent to those of the average residential customer, though EVs also represent a potential source of distributed storage that can provide grid benefits. California has made important progress in boosting energy efficiency and clean energy, but new infrastructure is required to leverage distributed energy resources and ensure grid reliability. The energy generated by wind and solar systems varies by time of day and season. This variability introduces new challenges for utilities and grid operators. An electricity system with high penetration of such resources therefore requires enhanced infrastructure to enable a smarter grid. California leads the nation in smart meter deployment with over 12 million meters in use. The California Public Utilities Commission (CPUC) issued a mandate in 2013 for 1.3 gigawatts (GW) of cost-effective energy storage to be integrated into the grid by 2020. Between 2010 and 2012, the state’s investor-owned utilities reported electricity use reductions of 6,548 gigawatt hours due to residential and commercial energy efficiency programs, equivalent to the electricity use of 725,000 US households for one year. Some of the nation’s most advanced microgrid projects— which allow institutions to operate independently of the traditional grid in the event of an outage—and EV charging initiatives are being piloted in California. As the way electricity is produced and consumed evolves, utilities and regulators must address issues around rate design. The combination of rooftop solar, demand response, and electricity storage will make some consumers less dependent on grid-supplied power, but not necessarily on the grid itself. Since utilities’ fixed costs of providing capacity—estimated at approximately 45 percent of average energy bills—are generally recovered in rates based on usage, the costs of maintaining electricity networks will be spread over fewer customers, leading to higher bills. Investment in communications and energy infrastructure can be supported by strategic partnerships and public policy, in the form of forward-thinking regulation and incentives. Plan for networks and expedite local permitting processes. With better information about the location of their own assets, cities, states, and the federal government should encourage the co-location of infrastructure and sharing mechanisms to expand broadband infrastructure. Specialized treatment of communication infrastructure in local planning can encourage investment and reduce delays. Cities can also explore blanket permitting approaches, which would provide approval for system wide upgrades throughout a municipality rather than on a project-by-project basis. Reassess governance model. 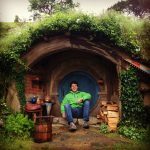 There is a broad consensus among experts that the current regulatory system is not well suited for today’s broadband network and competitive marketplace, much less for the networks of the future. The telecommunications network across the country has long been transitioning away from legacy systems toward IP- based services. However, regulation still requires incumbent telecommunications carriers to maintain their legacy telephone network, despite low numbers of current users or how superior internet-based communication might be. A new, technology-neutral oversight structure is needed that preserves the public interest in connection to emergency services without applying outdated mandates on providers. Create an Advanced Networks Task Force. There is opportunity for the formation of a diverse group of stakeholders to explore a new model for California’s networks within the current California Broadband Council. 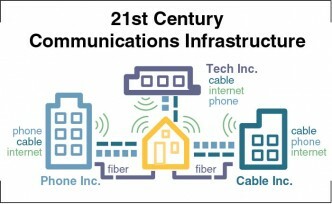 A statewide task force composed of existing network operators, state and municipal leaders, public-interest groups, regulatory bodies, and those developing new products and services dependent on the network should consider standardized infrastructure permitting guidelines across the state, capital expenditure needs statewide, security and privacy, and right-of-way rules and prioritization. Such a group could also be used to bring together cities throughout California that are currently exploring new ways to engage with internet service providers to create 21st century network models. Pursue innovative approaches in ratemaking and regulation. In order for the grid to be maintained and enhanced, all users must equitably share in the costs and benefits of grid investments. Rate structures that were originally built around the centralized model are no longer adequate. If cost components and grid-level benefits are more transparent, price signals and rate mechanisms can be devised in a way that does not leave consumers or utilities with uncompensated costs. Providing flexibility for utilities to operate outside of their regulated framework could enable a more extensive suite of energy-related services, such as the management of EV charging infrastructure, beyond simply the sale of electrons. Leverage storage technologies and electric vehicle charging as grid supporters. The adoption of storage technologies can create a more resilient grid, though their current high cost keeps them from gaining wider market adoption. In the same way that solar panel installations have been subsidized in California through residential rebates, similar programs can spur the adoption of grid-scale storage technologies. 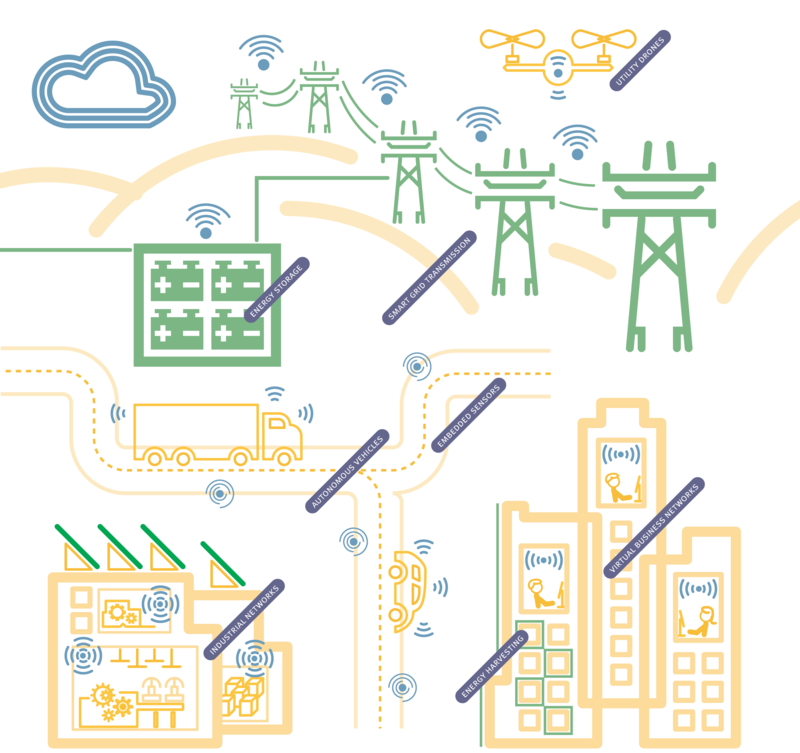 Infrastructure should also respond to the new demands and opportunities EVs will create. To begin this process, all California investor-owned utilities should submit vehicle-grid integration plans to the CPUC targeting time-of-use rates for EV charging with consideration for how EV energy storage could be used as an ancillary asset for local grid stability. Allow utilities to function as Distribution System Operators (DSO). 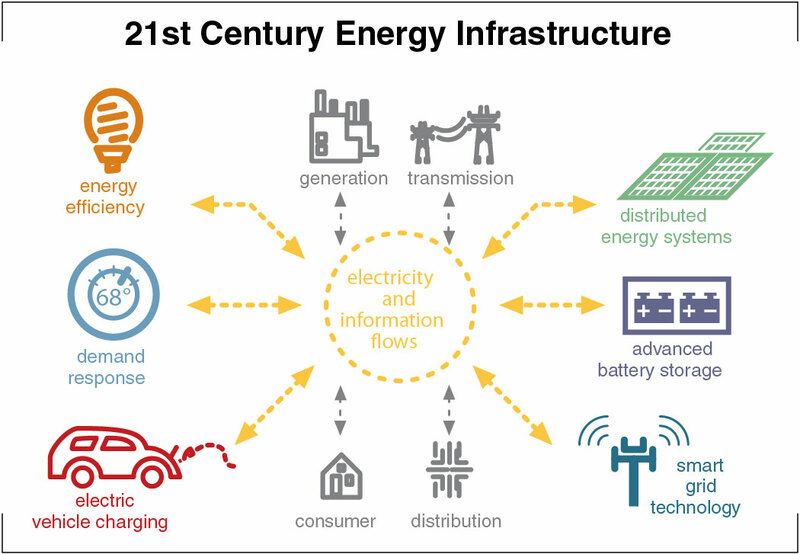 Greater control, management, and security will be needed as the power grid shifts away from a centralized generation model. 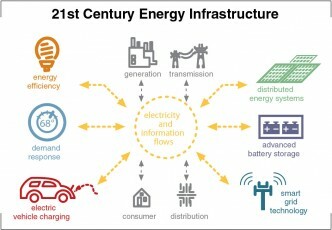 Similar to the role that the California Independent System Operator plays in managing the bulk power system, regional DSOs can manage and coordinate behind-the-meter energy generation and storage from multiple sources and better project the amount of power consumers and other generators of renewable power could place back on the grid. As a DSO, utilities could also develop and manage data platforms for collecting and analyzing information on a large scale, while ensuring that multi-layered security strategies are built into the grid as security intrusions become more complex. Implementation of this new function needs to carefully consider the costs and benefits to avoid adding unnecessary costs for electricity consumers. Enable energy data to be used in new ways. Utilities should be encouraged by the CPUC to collect, analyze, and share data, while respecting customer confidentiality considerations. Data standardization and ownership policies can lay the foundation for a robust information-oriented energy market, allowing new types of customer engagement and energy-related services. With new data-centric platforms, users can choose from a variety of service options, from managing their daily consumption via mobile device to automating timing of energy-intensive appliances.